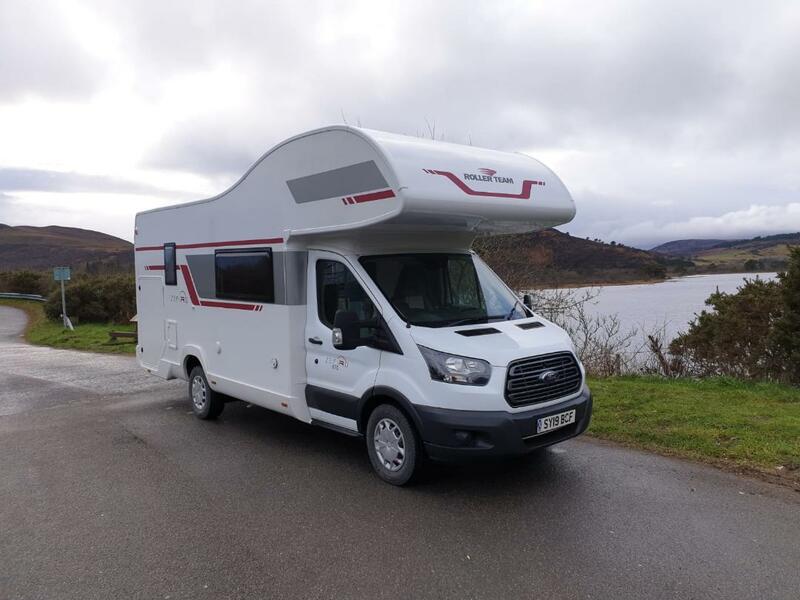 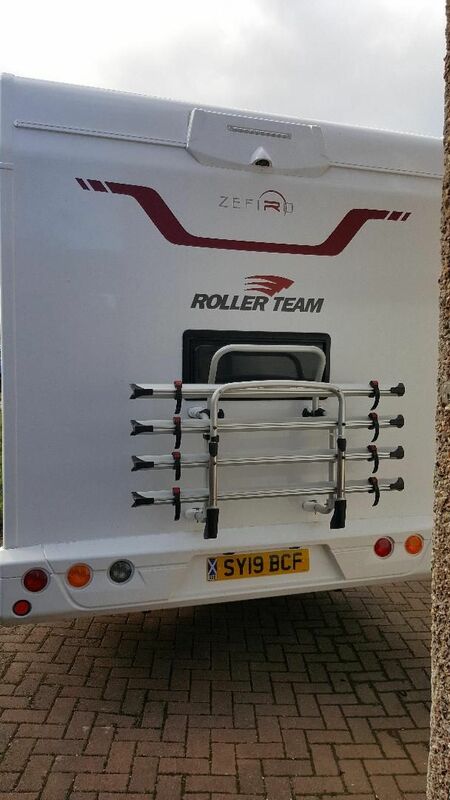 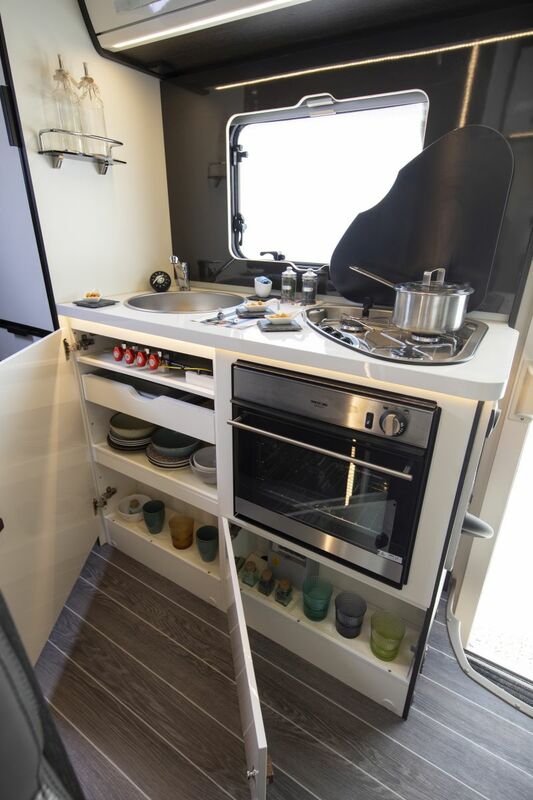 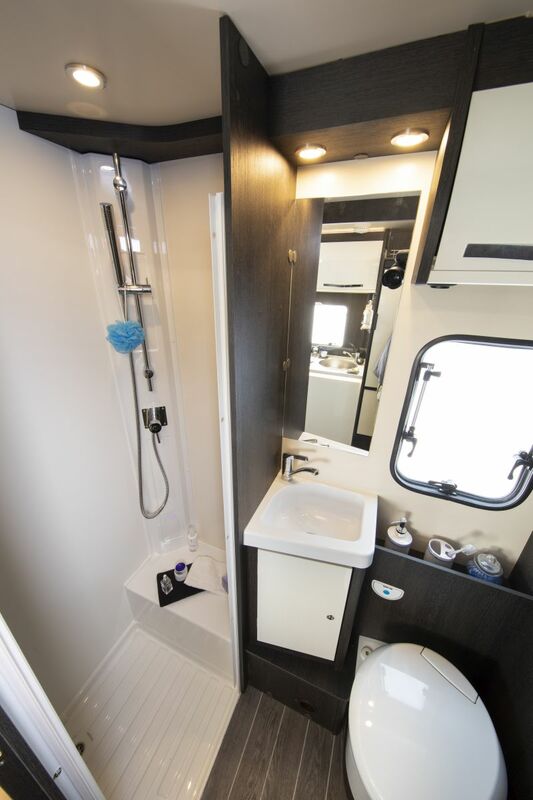 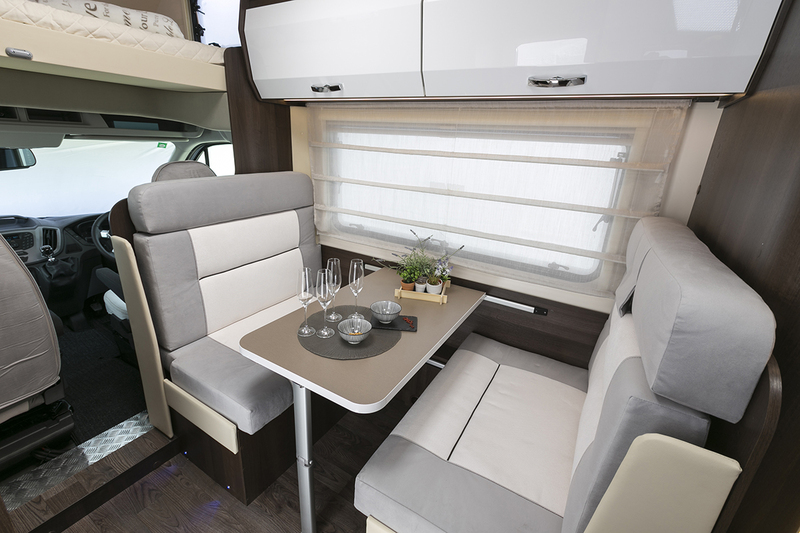 Angus is a 2019 Rollerteam Zefiro 675 with plenty of space for all the family. 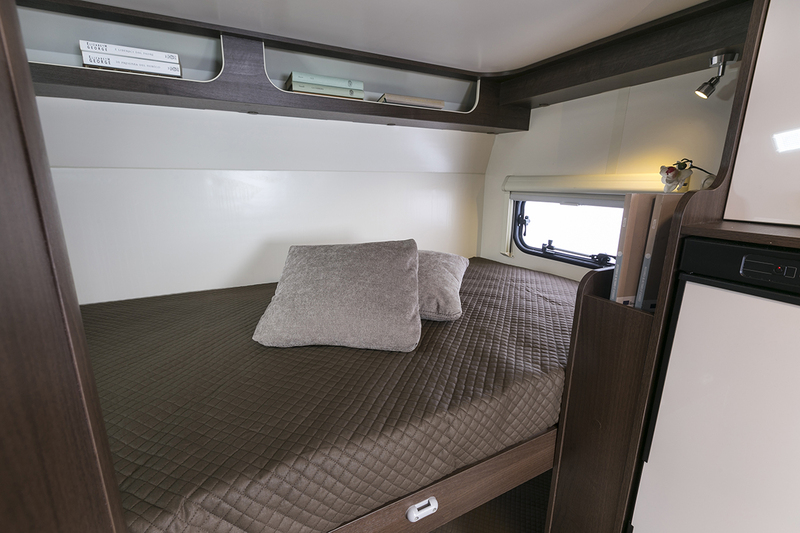 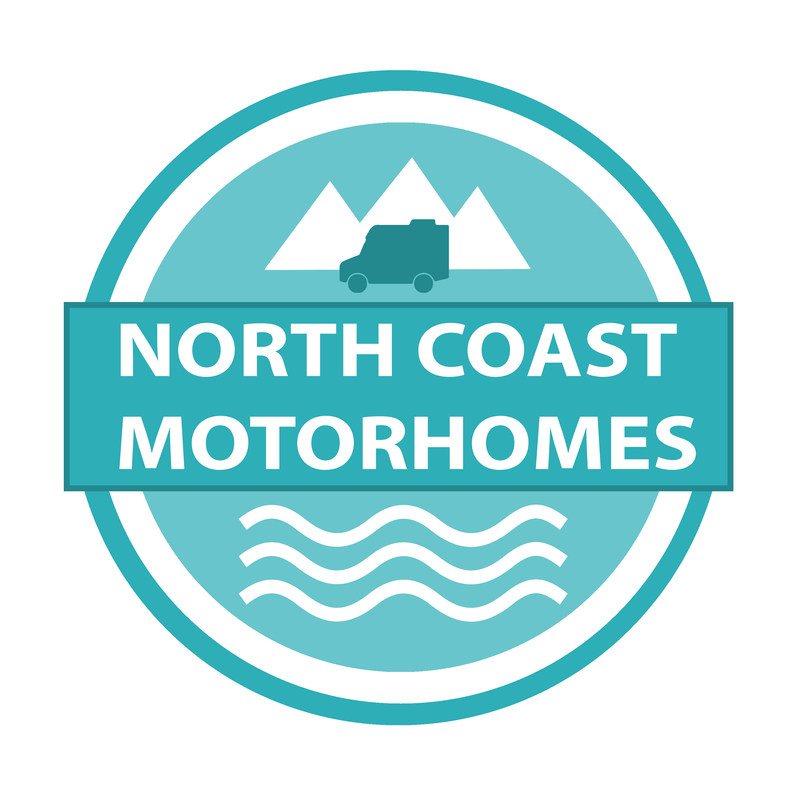 He has a fixed double bed over the driver's area, large fixed bunk beds at the rear and the seating area turns into another double bed. 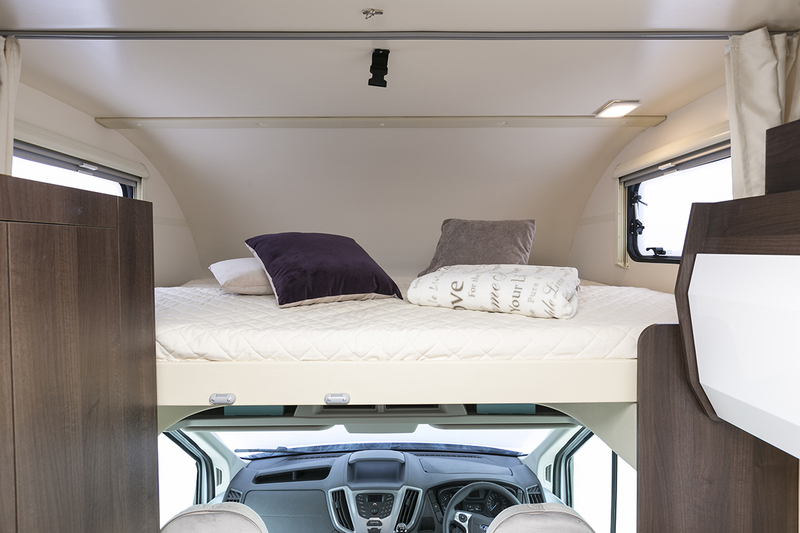 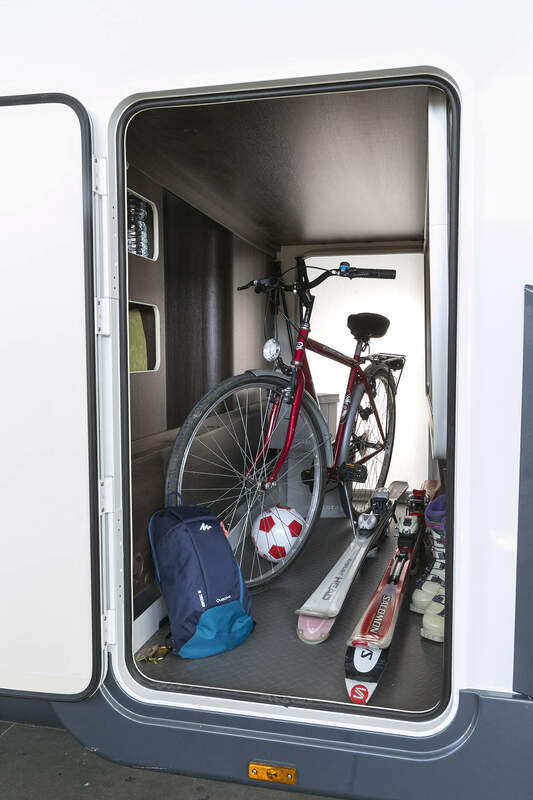 The bottom bunk folds up to create a large garage area which is accessed from the outside.